Q. I have just been granted permanent resident status in the US. Can you give a summary of my rights and responsibilities regarding such issues as travel abroad, reentering the US, losing my green card, and registering for service in the armed forces? A. With your permanent resident status ("green card"), you can live and work legally anywhere in the US. You can petition US Citizenship and Immigration Services (USCIS) for green cards for your spouse and unmarried children. Generally, after living here for four years and nine months (two years and nine months if your status is based on the fact that your spouse is a US citizen and you are still living in marital union with him/her), you can apply to become a US citizen. You can travel outside the US whenever you like. You must have your green card, along with a valid foreign passport, with you to present to US Customs and Border Protection (CBP) when you reenter the US. It is a good idea to keep a record of the dates each time you leave and return, and it is important always to reenter the US legally by using a CBP border checkpoint. When you travel abroad you must be careful not to “abandon” your residence in the US. If you want to leave for more than 12 months you must get a "reentry permit" from USCIS before you leave or CBP will presume that you have abandoned your status and may not readmit you. A reentry permit is granted at the discretion of USCIS for specific purposes, for example, going abroad to attend university, or going to your original home country to take care of an elderly or ill parent. Also, if you leave for more than six months but less than a year, you are not automatically presumed to have abandoned your US permanent residence, but you can face scrutiny on this issue from CBP when you return. It is important to consult with us at IIIC or with your immigration lawyer before taking a trip out of the US lasting more than six months. Even if you have a green card, the immigration authorities can prevent you from reentering the US, or deport you if you are in this country, if you commit certain acts or crimes. Certain offenses that may not seem very serious could be viewed as grounds for deportation, or they could keep you from being readmitted if you leave the US, or from obtaining US citizenship. If you are charged with a crime, it is ESSENTIAL that you consult an immigration lawyer as well as a lawyer specializing in criminal cases, as the law involving the effect of criminal offenses on immigration issues is extremely complex. If you are a male at least 18 years old and under 26 at the time when you got your green card, your responsibilities include registering with Selective Service (even though there is no military conscription in effect in the US at this time). If you do not register, you may be subject to criminal prosecution. If convicted, you could be deported. Failing to register may also prevent or delay you from becoming a US citizen. You can get the necessary form at any post office, or you can register online at www.sss.gov. Other responsibilities of permanent residents include filing accurate federal and state tax returns annually and paying any taxes that you owe; reporting any change of address to USCIS within 10 days; and having your children who are permanent residents register with USCIS within 10 days of turning 14. Your green card does not entitle you to vote in US elections or serve on juries – you must be a US citizen for that. Doing so as a legal permanent resident amounts to a false claim of US citizenship and can have very serious consequences. USCIS has issued a pamphlet entitled “Welcome to the United States: A Guide for New Immigrants.” This publication is available in eleven languages at no cost to view or download from the USCIS web site, www.uscis.gov. It contains detailed information on your rights and responsibilities, as well as discussion of many practical issues facing new residents: finding jobs and accommodations, health care, education and child care, taxes, learning English, and so on. This would be a good place for general orientation if you have questions in these areas. Keep in mind, however, that while the publication was current when it was issued, laws and regulations are subject to change at any time and can vary significantly from state to state. Also, no general publication can fully address the particulars of your individual situation. 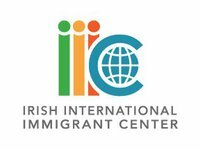 Visit one of our weekly legal clinics advertised in the Emigrant for a free, confidential consultation on your specific questions about any immigration-related issue. Disclaimer: These articles are published to inform generally, not to advise in specific cases. The US Citizenship and Immigration Services and US Department of State regularly amend regulations and alter processing and filing procedures. For legal advice seek the assistance of an IIIC immigration specialist or an immigration lawyer.